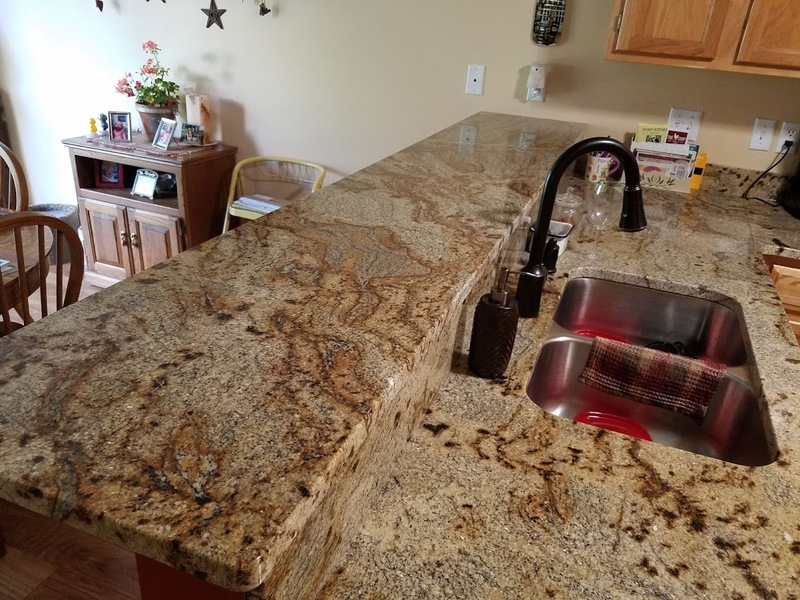 DRAMATIC GRANITE – Allrounder Remodeling Inc.
Our client liked her kitchen layout and function and was just looking for a minor update. 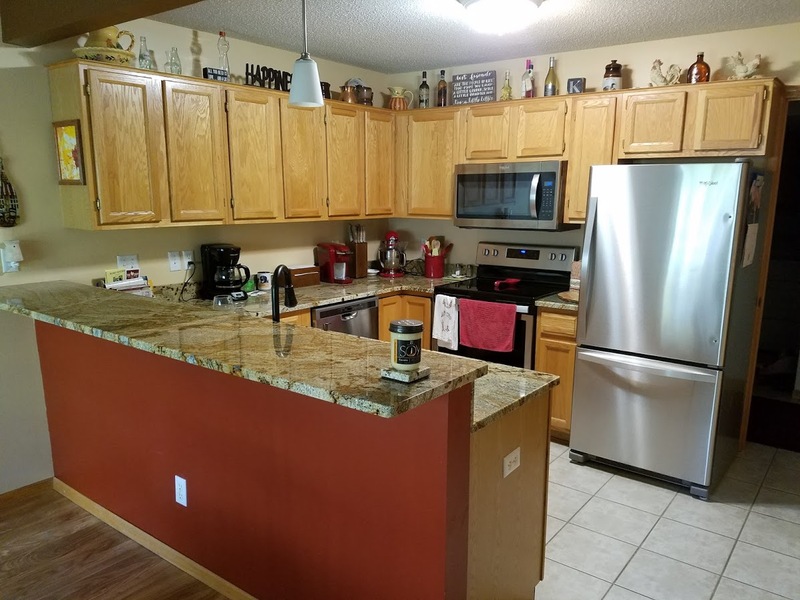 The existing cabinets and flooring were left in place. 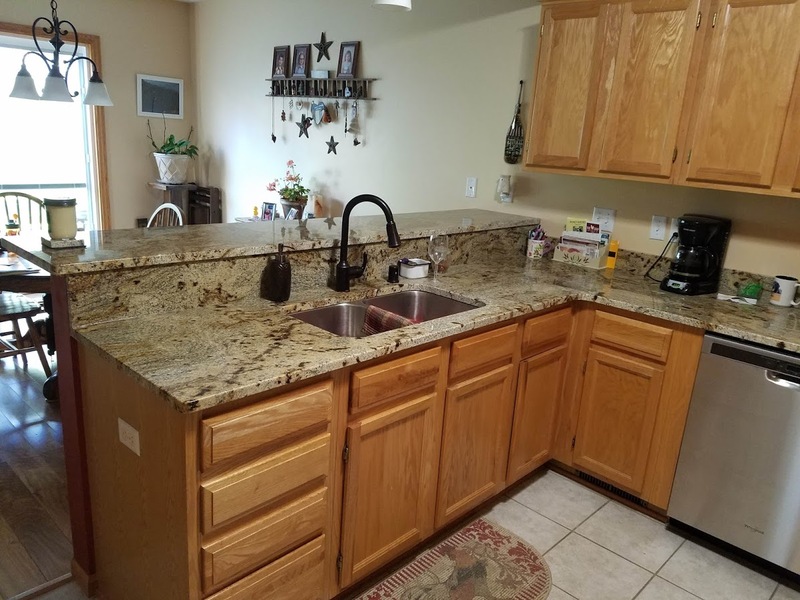 Granite Countertops are the biggest upgrade in this project. Our client chose a dramatic pattern that really makes a statement. There were only 2 slabs available of this dramatic pattern. As a result, our design team layed out exactly which pieces would be cut from the slabs and showed the layout to our client for approval. Since there were no other slabs available, we had to get every detail perfect the first time. Our plumber also installed a new sink and faucet. Stainless Appliances are another key feature of this kitchen facelift. 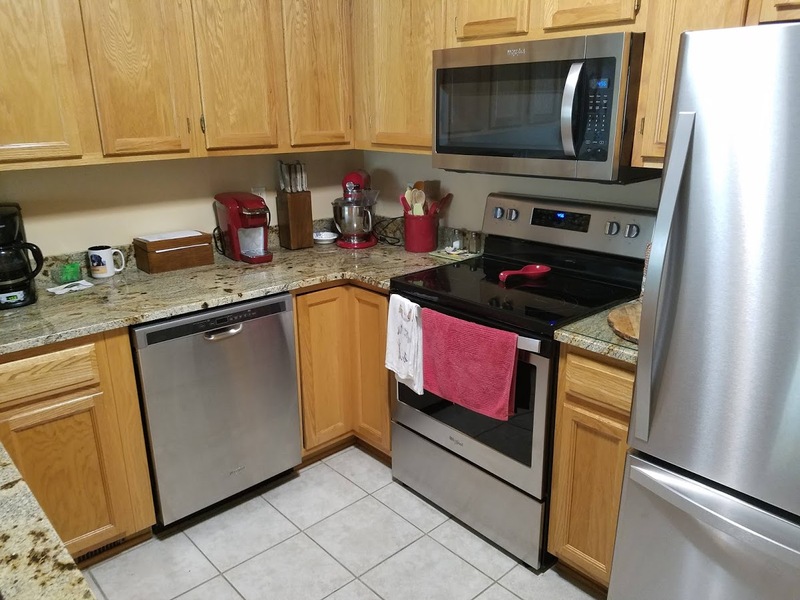 The original appliances were beginning to fail, so it was time for an upgrade. Our plumber ran a water line to the fridge, which provides our client with ice and filtered drinking water. Adjacent to the kitchen, our client felt that her living room needed a little “something” to jazz it up. She was looking for something to remind her of her cabin up north. 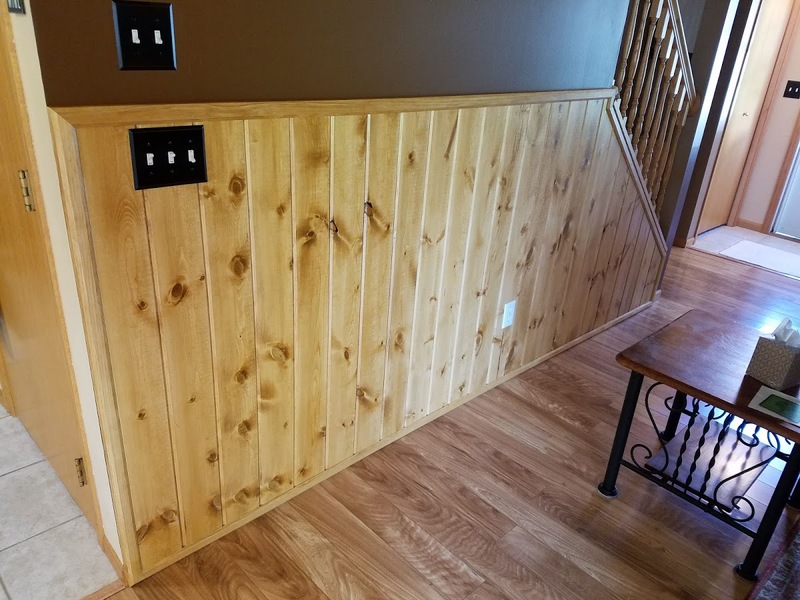 A Knotty Pine Accent Wall fit the bill perfectly. 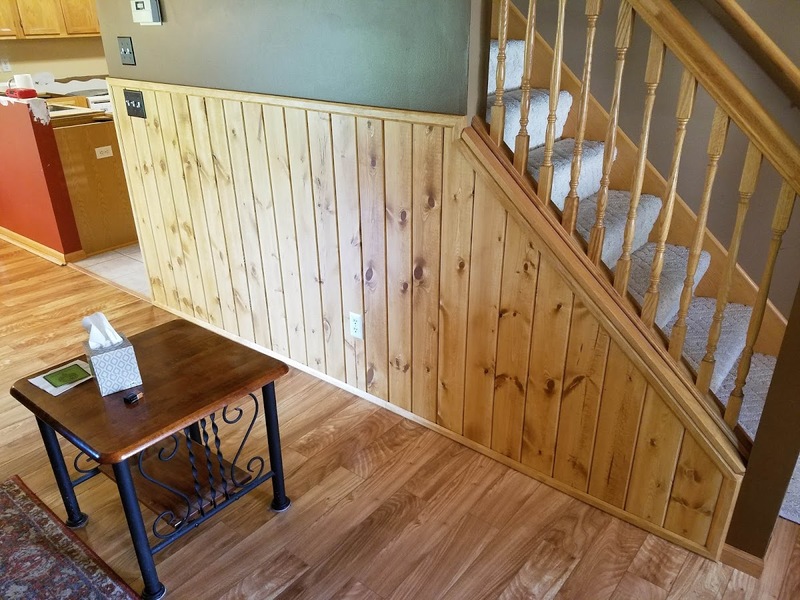 Our carpenters did a great job of blending this accent into the home and working with unlevel surfaces and funky angles adjacent to the stairs. We weren’t satisfied with any of the “stock” mouldings, so we machined our own moulding in our shop.